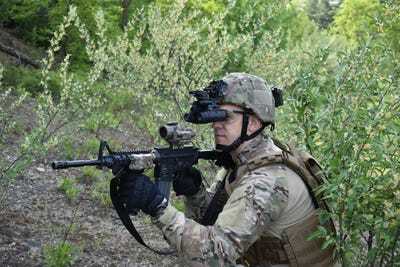 The US Army’s newest night vision goggles allow soldiers to shoot around corners and fire accurately from the hip with the Rapid Target Acquisition capability. Testing saw significant improvements in marksmanship, Army officials said at the Association of the United States Army annual conference in Washington, DC. Brig. Gen. Dave Hodne, director of the Soldier Lethality cross-functional team, says he can’t imagine any future weapons sight lacking this option. The push to make troops more deadly is getting a major boost with a series of night vision upgrades that will allow soldiers to shoot around corners and accurately from the hip. In the very near future, soldiers will receive the monocular Enhanced Night Vision Goggles III from BAE Systems. 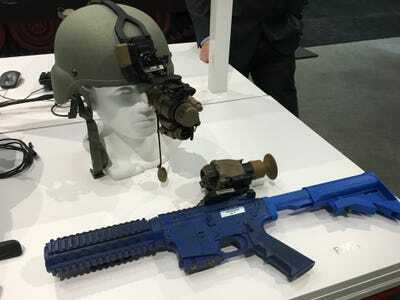 Featuring advancements in low-light optics, thermal vision, and image intensification, the new ENVG III and accompanying weapon sight will help soldiers “rapidly acquire and engage targets in all light levels and conditions,” according to the developers. This is a step up over much of the existing night vision technology and a big deal for the soldier. “Now, if a soldier’s on a patrol, weapon’s down at his hip, all of a sudden a threat pops, instead of having to flip up a goggle, shoulder his weapon, reacquire, he has that aim point in his field of view, and he can actually shoot from the hip, so to speak,” Smialek added. 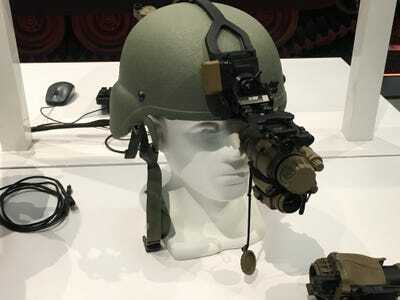 Next year, though, the Army will start to receive the Enhanced Night Vision Goggle – Binocular (ENVG-B) produced by L3 Technologies, which will also feature the Rapid Target Acquisition feature and the ability to shoot around corners. The binocular version is designed to increase mobility. “The weapons sight has a bunch of different modes activated through a remote,” Brian Backer, the technical director for L3 Integrated Land Systems, told BI Tuesday, “By going into different modes, you can actually get a view of the weapon sight in the goggles.” Soldiers can point their weapon around a corner and see targets while remaining hidden through a picture-in-a-picture setup in the goggles. Army officials repeatedly told Business Insider that they are excited about this new technology and what it brings to the warfighter. 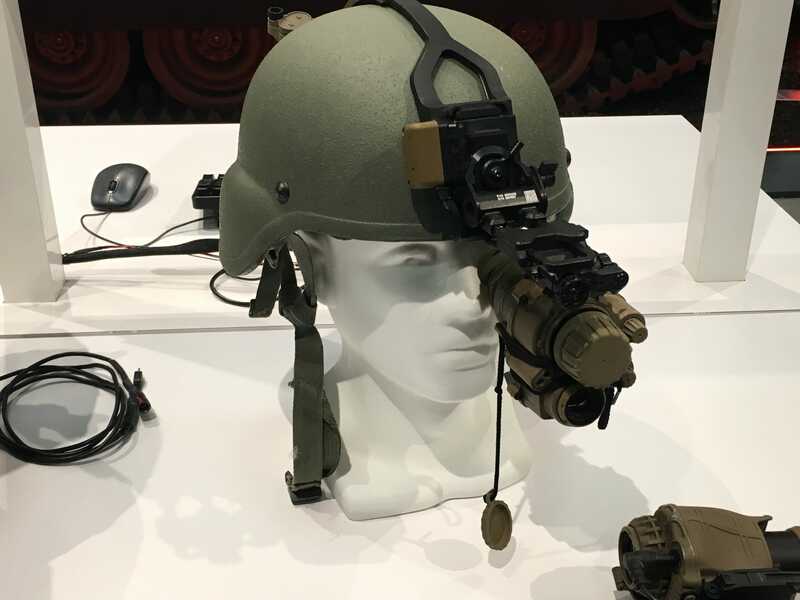 What’s next, according to industry, will conceptually involve adapting the ENVG-B and accompanying weapon sight for visor displays and synthetic training purposes. The future is, according to L3’s spokespeople, moving the virtual reality platform into the soldier’s goggles, a feature that would advance the Army’s vision of a more dynamic virtual training capability, a concept stressed by Maj. Gen. Maria Gervais, director of the Synthetic Training Environment cross-functional team, during a Wednesday media roundtable.